Armed with creativity, know-how, and a Leatherman, you’re ready for whatever real life throws your way. 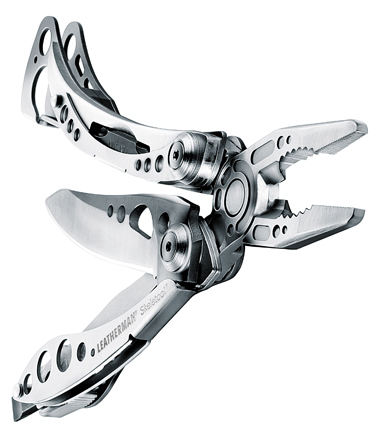 Leatherman’s Skeletool Weighs Just 5oz. Most multi-tools are chock full with functions, though they’re often too heavy to conveniently carry in a pocket. Conversely, pocket knives are light and streamlined but not applicable to circumstances where you need a pliers or wire clipper. 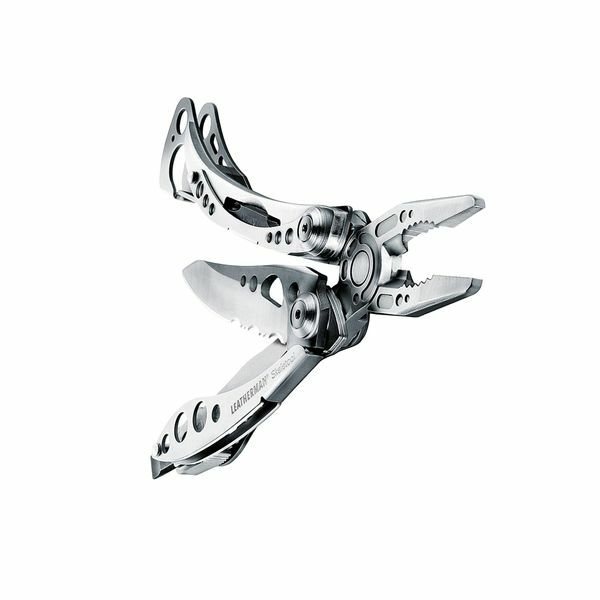 That’s the logic Leatherman puts forth when introducing its Skeletool, a light and compact multitool with just the basics — a stainless steel blade, pliers, a bit driver and a carabiner clip. That’s it. This setup creates a solid little tool that weighs 5 ounces. It slides easily in a pocket or clips securely to a belt loop. An outside-accessible knife blade opens just like on a pocket knife, and you can flick it open with one hand. The tool’s screwdriver bit switches flat or Philips tips in a second. The newly-designed pliers includes a wire cutter. But that’s about it. A simple and straightforward tool, but one I’ve found useful for most tasks. Backpackers may want more options, especially a can opener. No corkscrew here, either, in case you brought wine (though the carabiner clip doubles as a bottle opener for beer). And that little plastic Swiss Army toothpick we all love? Not on this tool’s frame. The price is $65 retail.